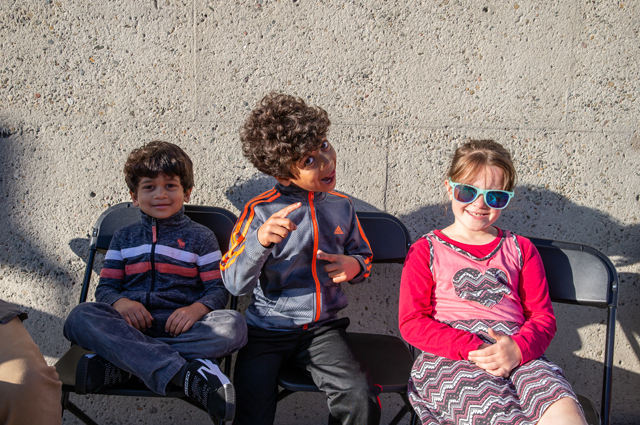 Get cozy at OMCA with our Winter Season of Friday Nights at OMCA, bringing you after-hours gallery access, DJ sets from the Bay Area’s finest, family-friendly drop-in activities, and more! Friday Nights at OMCA is one of Oakland's favorite things to do, bringing you the best of local cuisine along with music, dance, and the whole Museum open late. Enjoy hands-on activities for kids and a lineup of live music and dance from local performers that changes weekly. Bring friends and family for a taste of local music, food, and culture at the Oakland Museum of California every Friday Night! Explore the Museum’s 110,000 square feet of gallery space until 9 pm, including hands-on exhibitions with interactive activities for the whole family to enjoy. The World of Charles and Ray Eames on Level 2. Cruisin’ the Fossil Coastline on Level 3. Take Root: Oakland Grows Food on Level 1. Gallery of California Natural Sciences on Level 1. Gallery of California History on Level 2. Gallery of California Art on Level 3. Celebrate Lunar New Year by making your own Chinese Zodiac animal masks. Kick back and relax with seating available on 10th Street, the 10th Street Amphitheater, Oak Street Plaza, or café patio. Reserve a picnic table for your group during Friday Nights at OMCA or book a Friday Night lounge through Event Services. OMCA is located one block from the Lake Merritt BART Station. Event parking is available at the Museum for a $7 flat fee after 5 pm. Museum garage closes at 9:30 pm. Food and drink are not allowed inside the galleries unless otherwise designated. Please note the OMCA Gardens are closed during Friday Nights at OMCA during the winter season.